Incorporate the Amish Central Park Panel Bed into your suite for years of comfort and sound sleep! Add style and decor to your bedroom with the handcrafted contemporary headboard and footboard. This Amish panel bed is shown in brown maple wood with the rich tobacco stain. Get it just like it is shown, or choose from one of our other five hardwoods and finish colors to find the perfect match for your bedroom. 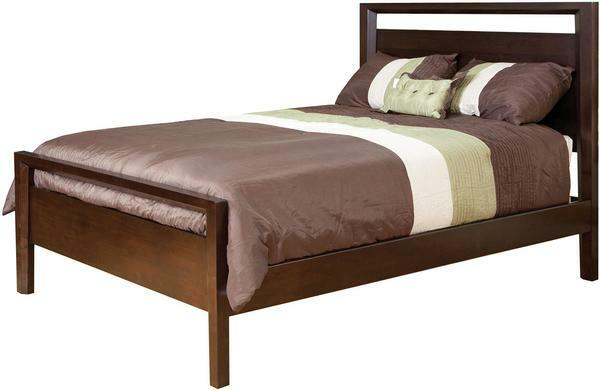 Call us today if you have any questions or would like to customize this solid wood bed! We are happy to help you with any customizations that you are interested in exploring! Shown in Brown Maple with Rich Tobacco Finish.